Wow unusual looking critter – cute though. Lived in FL now for 14 years and still haven’t visited the Lowry. Great shot, Vickie! I love meerkats and I Love the Lowry Park Zoo! I went there last summer. It does look like he’s posing! How cute. I love the way he’s looking at you. In zoos it is sometimes hard to tell who is looking at who? There is a lot of meerkats in the movie The Life of Pi. 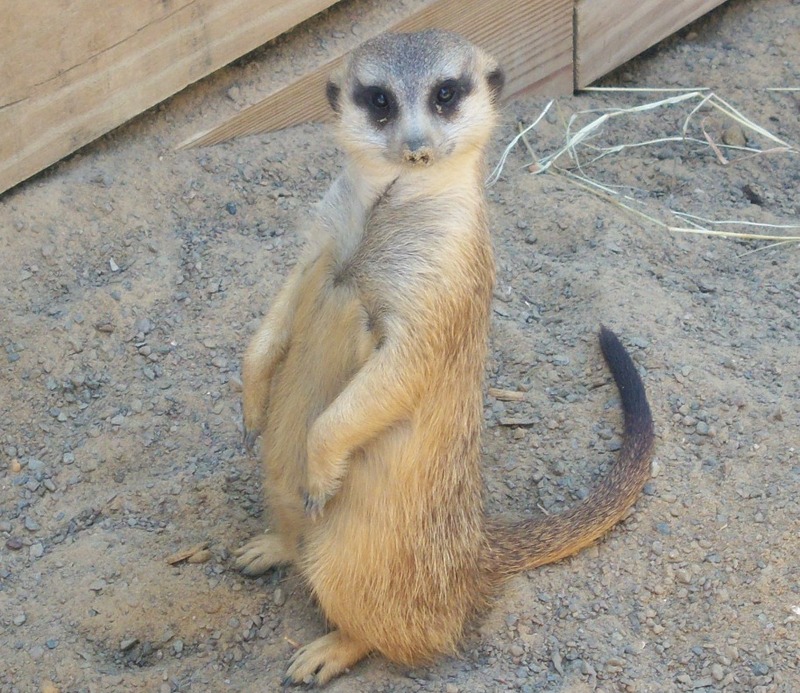 The meerkat (in the photo) looks regal. Meerkats are fantastic, aren’t they? Great shot. Hahaha – gotta wonder what s/he is thinking! Cute! He looks so self-satisfied.